Did Jefferson Really Mean It When He Said Liberty Now and Then Requires the Shedding of Blood? 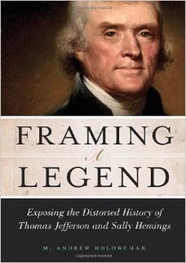 M. Andrew Holowchak is the author of many books about Thomas Jefferson including "Framing a Legend: Exposing the Distorted History of Thomas Jefferson and Sally Hemings" (2013). To William Stevens Smith (13 Nov. 1787), Jefferson uses the metaphor of the tree of liberty in what has become a famous (or infamous) passage concerning Shays’s Rebellion. Yet where does this anarchy exist? Where did it ever exist, except in the single instance of Massachusets? And can history produce an instance of a rebellion so honourably conducted? I say nothing of it’s motives. They were founded in ignorance, not wickedness. God forbid we should ever be 20. years without such a rebellion. The people can not be all, and always, well informed. The part which is wrong will be discontented in proportion to the importance of the facts they misconceive. If they remain quiet under such misconceptions it is a lethargy, the forerunner of death to the public liberty. We have had 13. states independant 11. years. There has been one rebellion. That comes to one rebellion in a century and a half for each state. What country ever existed a century and a half without a rebellion? And what country can preserve it’s liberties if their rulers are not warned from time to time that their people preserve the spirit of resistance? Let them take arms. The remedy is to set them right as to facts, pardon and pacify them. What signify a few lives lost in a century or two? The tree of liberty must be refreshed from time to time with the blood of patriots and tyrants. It is it’s natural manure. This oft-referred-to passage, an apologia for the actions of farmers and other dissenters in Massachusetts (the rebellion began in 1786 and continued in pulses till June of 1787), has perplexed scholars for decades, because the general reaction of others in Jefferson’s day (e.g., Henry Knox and George Washington) was alarm or even panic. Why was not Jefferson alarmed or panicked? What became apparent to many was that the Articles of Confederation disallowed a strong central government, impotent in such a crisis. Moreover, the rebellion illustrated the fragility and tenuousness of the union. Consequently, Jefferson’s response in the letter is not just atypical, but also customarily interpreted as evidence of a sanguinary streak in him. In agreement with Malone and Mapp, there is nothing remarkable in the letter, if we understand how Jefferson thought of rebellions. First, rebellions, for Jefferson, are not revolutions. They are more prophylactic than substantive in that their aim is preservation or alteration, not wholesale change. Second, Jefferson notes that rebellions have been common occurrences in most countries over the centuries. Given that, the worries about Shays’s Rebellion are de trop. Third, Jefferson acknowledges that even the best intended governors, if governing long, will tend to govern in their own interests and not in the interests of the citizenry. “Every government degenerates when trusted to the rulers of the people alone,” he writes in Query XIV of his Notes on Virginia. Thus, rebellion from time to time will serve as a warning to those empowered with the rule of a state that they are not to abuse those powers. So, a few lives lost in the effort to preserve citizens’ rights and liberties is small beer when compared to the inevitable result of lethargy: the evanescence of coercive government and its corrosive, liberty-burking effects—evident by the study of history. Jefferson’s argument, hyperboles and metaphors aside, is much the same as John Stuart Mill’s in On Liberty, when Mill writes of the birth, maturation, and decline of ethical doctrines or religious creeds. “Their meaning continues to be felt in undiminished strength, and is perhaps brought out into even fuller consciousness, so long as the struggle lasts to give the doctrine or creed an ascendency over other creeds.” Thus, doctrines or creeds flourish when there are diversity of opinion, freedom of debate, and toleration of diversity for human flourishing—viz., when adherents are allowed to, and do, fight on their behalf. It is much the same with Jefferson. That is why he considers sanguinary rebellions from time to time to be the manure that keeps healthy the tree of liberty. Yet thus far we have eschewed what perhaps is most remarkable in the letter to Smith: the sentiment that Jefferson seems to be enjoining rebellion, even when the people are confused about the facts. “The people can not be all, and always, well informed. The part which is wrong will be discontented in proportion to the importance of the facts they misconceive.” Yet these significant claims cannot be taken as evidence that Jefferson countenances rebellious actions in cases of complete or abundant ignorance. 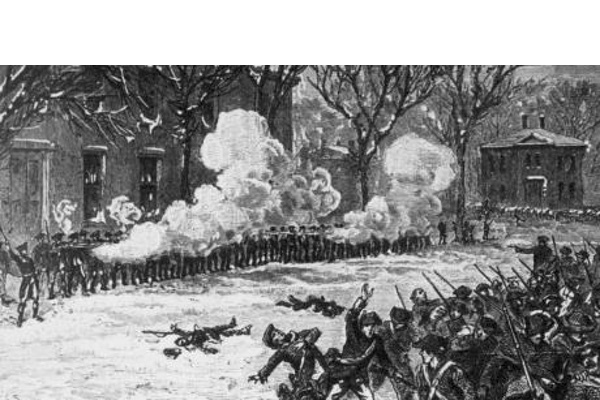 Recall Shays’s Rebellion was mostly of farmers, disgruntled by economic difficulties in Massachusetts and the dire governmental actions to solve them, though there were other concerns. There were good reasons for rebellion of some sort, even if the rebels were not informed of all the facts. Motives—“they were founded in ignorance, not wickedness”—must be considered before punishment is harefootedly doled out. Still, Jefferson puzzlingly adds, “If they [the people] remain quiet under such misconceptions it is a lethargy, the forerunner of death to the public liberty.” Again, there is no reason to see “misconceptions” to imply complete or abundant ignorance, but merely partial ignorance, and it is critical to underscore Jefferson’s conception of lethargy as “the forerunner of death to the public liberty.” Jefferson as early as 1776 (Resolution for Rotation of Members of Continental Congress) recognized that it was necessary “to prevent every danger which might arise to American freedom by continuing too long in office the members of the Continental Congress.” He also recognized the “selfish interests of kings, nobles and priests” over the centuries (TJ to Ellen Randolph Coolidge, 17 Aug. 1825). Thus, a government of the people has also to be by the people. It follows that “the influence over government must be shared among all the people” (Query XIV) and that the people have a right to act when their interests are being neglected or abused. That is why Jefferson in his letter to Smith advocates pardoning and pacifying the people when they rebel. The people “preserve the spirit of resistance,” and that spirit of resistance in turn preserves their rights and liberties. Governors cannot be trusted.